Recent results from a study conducted in partnership with Wageningen University, Breed4Food, and Hendrix Genetics show the environmental impact of different species in relation to their contribution to greenhouse gases, nitrate, and phosphate. The study also looked at historical trends, and the contribution of animal breeding. The study looked at the comparison between various species for greenhouse gases (GHG). 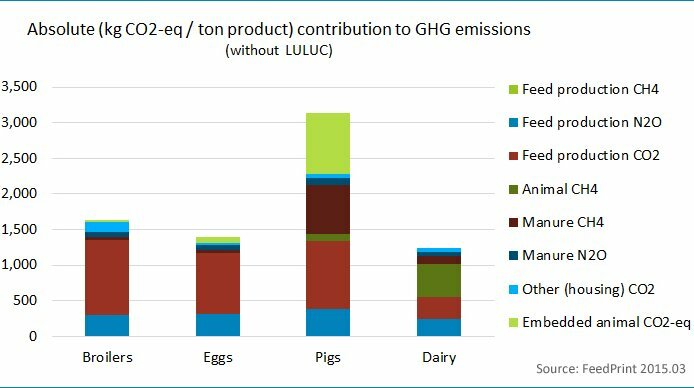 Results showed that laying hens for egg production contributed some of the smallest GHG emissions when compared to other protein sources. In addition, when looking at the historical data from North America, results show that egg production has reduced its GHG emissions by 72% since the year 1962 in Canada and 71% since 1960 in the USA. Factors contributing to this reduction include feed efficiency, feed composition, and manure management. 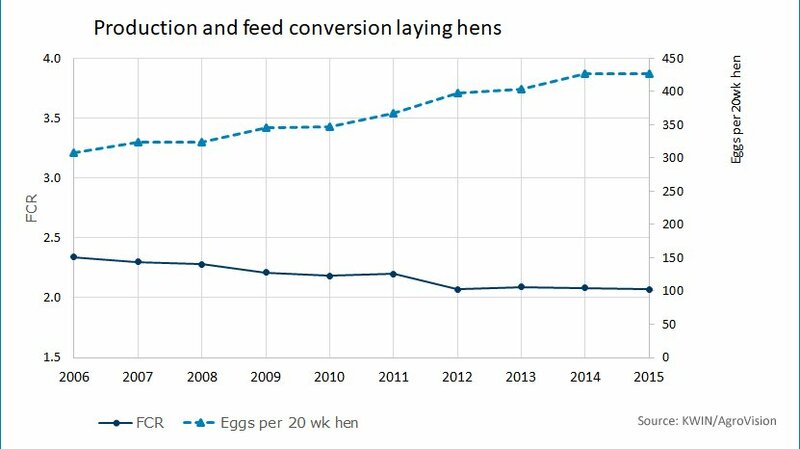 An additional factor can be contributed to genetic progress in increased egg production gained by increasing the production cycle to 100 weeks in 2008. The annual genetic improvement for reduced GHG translates to 0.87-0.92% per year. Looking to the future, an important question to answer for all species will be how to predict the feed composition of the future. Feed production makes up a large majority of GHG emissions. However, protein efficiency is altered by making changes to the composition of the feed. 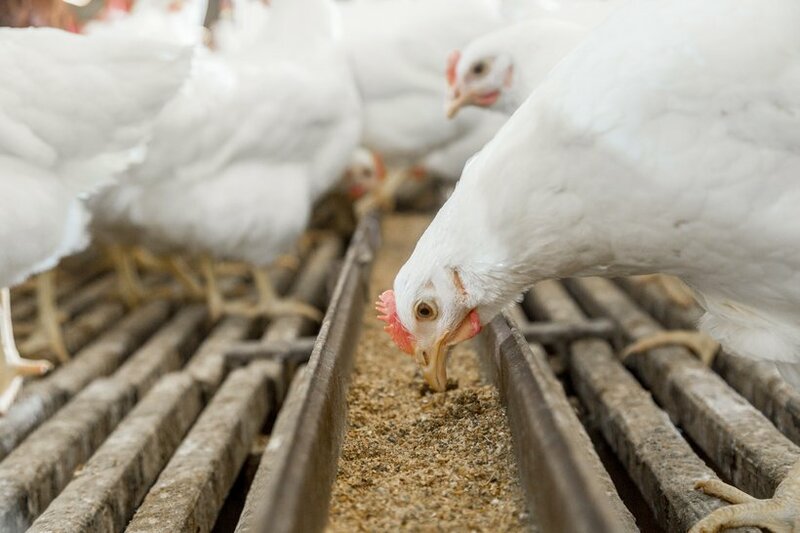 Breed4Food is already involved in the Feed-a-Gene project to study new and alternative feed resources and technologies to optimize the potential of feed and the animal. Breed4Food is a consortium established by Wageningen University & Research Centre and four international animal breeding companies: CRV (cattle), Hendrix Genetics (turkeys, layers, pigs, aquaculture and traditional poultry), Topigs Norsvin (pigs), and Cobb Europe (broilers). Across the three areas, Breed4Food aims to deliver new applied knowledge, distinct and innovative methods, software and tools etc. The end goal is to facilitate scientific breakthroughs that enhance genetic improvement and to realize a profitable and sustainable livestock sector that meets societal challenges. By focusing on innovations, open-minded collaboration, and striving for a more sustainable output, we believe we can create a more efficient cycle. Our ongoing work with Breed4Food is just one example of our efforts to meet needs of the future.